Barolo and Barbaresco get the lion’s share of the attention in Piedmont, but the best Dolcettos, Barberas and Nebbiolos reflect the same values that make Piedmont’s top wines so compelling. Specifically, top estates lavish just as much care on their entry-level bottlings as they do on their flagship wines. In many cases, margins are tighter on less expensive offerings, which means the best wines in this article punch well above their weight when it comes to value. The current vintage for Dolcetto is 2013, a cool, late-ripening year that yielded vibrant, perfumed wines built on energy. Unfortunately 2014 turned out to be very challenging for Dolcetto, which ripens first among Piedmont top three red grapes, so Dolcetto fans will want to stock away at least a few bottles of the 2013s. The pickings are likely to be very slim next year. 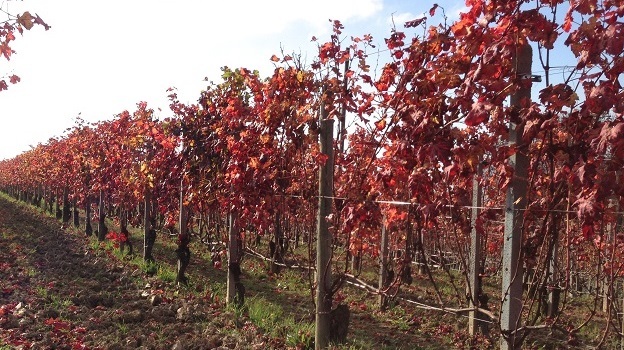 Most Barberas and Langhe Nebbiolos in the market are from 2012, an intriguing year in which the wines have mid-weight structures typically associated with a cooler growing season, but a level of ripeness and sweetness that is more typical of a warmer vintage. I tasted a number of gorgeous 2012 Barberas that strike a compelling middle ground, as the wines are open, but not as intense or as voluptuous as the 2011s, 2009s or 2007s. My first forays into Nebbiolo, first with Langhe Nebbiolo and then with Barolo and Barbaresco tasted from cask, suggest this is an above average vintage of very pretty, pliant wines to drink over the medium-term. Given the price escalation we are seeing for the best Barolos and Barbarescos it is easy to feel priced out of the market. The best wines in this article offer both high quality and fair pricing, which means readers can open a bottle or two with no guilt. That is especially true of the new generation of Langhe Nebbiolos, many of which are made from young vine Barolo/Barbaresco-designated parcels and given short fermentations that render the wines accessible and delicious young. Piedmont’s bounty is wide-ranging, as I hope the wines in this article will amply illustrate.